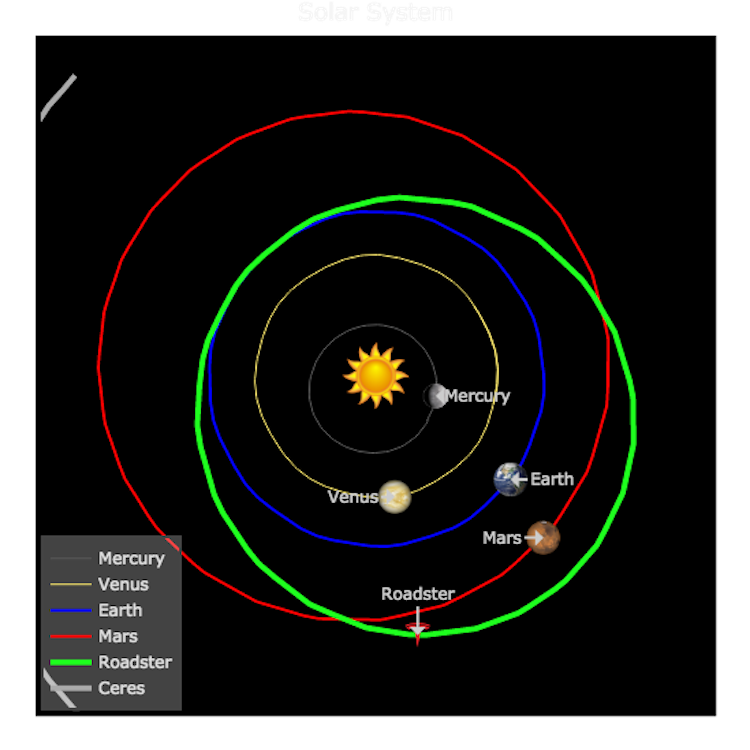 During the historic launch of the Space X Falcon Heavy rocket, a Tesla Roadster was sent into the atmosphere to orbit the sun forever. With this in mind, Ben Pearson, founder of Old Ham Media, was inspired to create “Where is Starman“, a fascinating site that plots exactly where the Roadster and its occupant are at any given time. came to realize that people really were interested in the tracking of these objects. I started thinking about how I could manage to get this information, and then I came to realize that I could provide the tracking for it myself! I quickly registered this domain name, and started to think about how I could get the information so I could pass it on to you. Pearson is currently working on an animated simulation of this chart. This is what he has so far.